Technology. In many schools, the administrative staff takes care of office tasks, schedules appointments for school leaders and teachers, and handles school communication. Since technology has streamlined many processes for teachers, it can make the lives of the administrative staff easier, too! Implement an automated phone system that directs a caller to the right person or department. This should dramatically decrease the number of calls that the administrative staff actually needs to answer. Adopt a parent-teacher communication app so that parents can communicate directly with their child’s teacher without calling the main office. Taking the administrative staff out of the picture not only saves them time but also helps teachers build stronger relationships with their students’ parents. Use social media. More than 80% of the US population has at least one social media profile, so use it to your advantage! Make announcements and direct parents and families to useful resources on your school website. The key here is answering parent questions before they ask them. 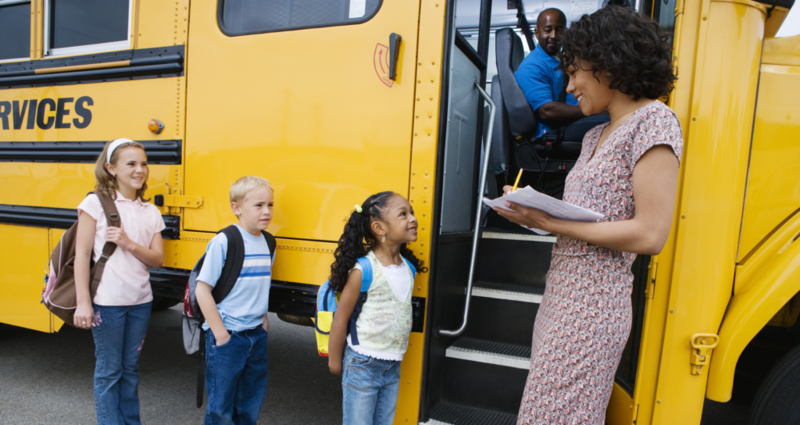 Address questions about school designations, attendance zones, and bus stop locations by subscribing to an online, easy-to-use school locator like LocateMySchool™. The program uses geographic information system (GIS) technology to layer a variety of data onto an interactive map. Parents can type in their address and get the elementary, middle, and/or high school attendance zones for their location, see bus stop locations on the map, get walking and driving directions to the school, and more—eliminating the need to call the central office! Research shows that automating simple tasks creates a more efficient working environment, alleviates stress, and reduces time spent completing monotonous, repetitive tasks. This enables administrative staff to refocus on core competencies. And a more efficient administrative staff equals a more efficient school!